the historical center of the renaissance town. 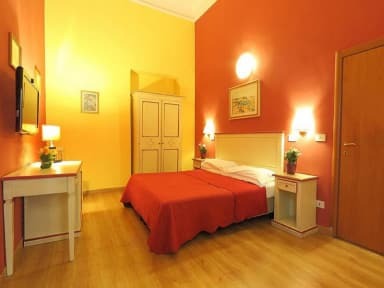 Our rooms are spacious , our reception is open 24 hours. Our staff is happy to help you with suggestions and tips about Florence. We can help you to book tours and museums. We’re located in the city centre of Florence, only seven minutes' walk from the David statue, only a 15-minutes' walk from the Duomo. PLEASE NOTE: City tax of Florence is not included in the room rate, city tax is € 3,00 per person per night and must be paid from 10 years old.